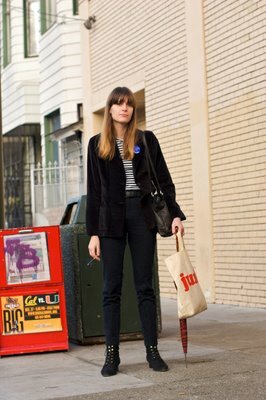 "This outfit is inspired by late 60s New York, like the Velvet Underground." 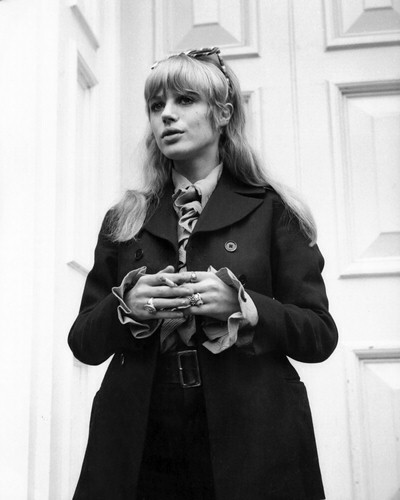 There is something very Marianne Faithfull (see below) about Sara. 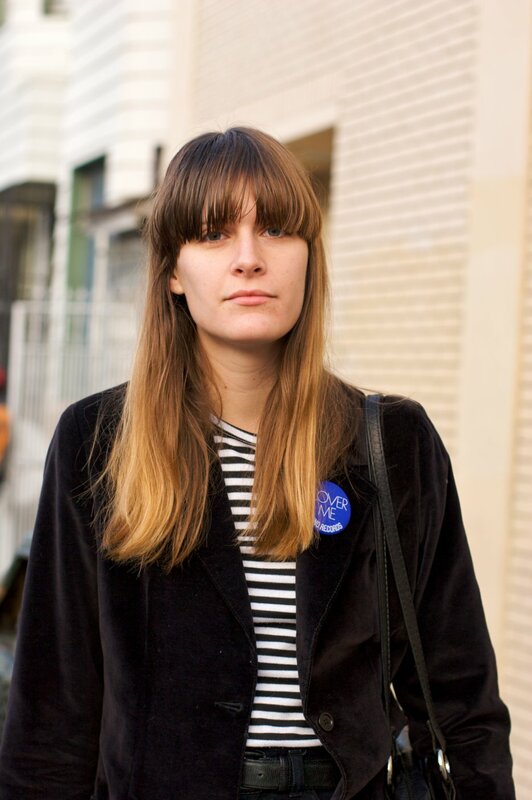 It might be a studied nonchalance about her outfit and her ease in the world. Or just her rock-n-roll spirit shining through, but it works in spades. Despite what the fashion mags say, sometimes skinny trousers/jeans still look so good. 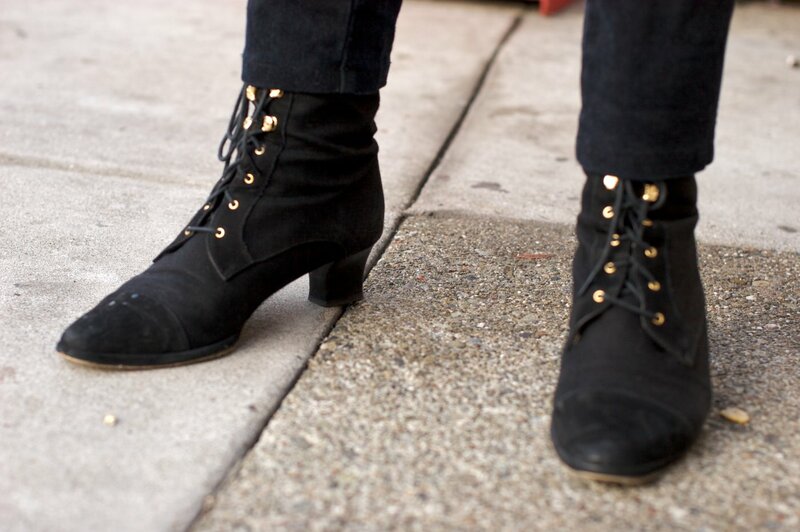 Look at her gorgeous slim lace-up booties.